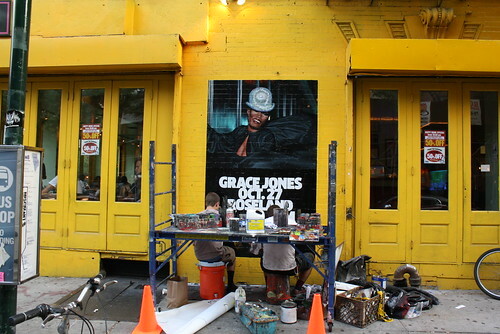 As promised yesterday, here’s a look at the near-complete Grace Jones mural going up just a block away from Joe Strummer, on St. Marks Place near Avenue A. Looks like it’s already time to make plans for October, but before that, we’re going to enjoy one last weekend of summer. Barring any breaking news, we’ll see you back here Tuesday. Have a great Labor Day weekend, East Village.